You can make a lasting difference in the economy and social welfare of Hungary by becoming a sponsor. You can support bringing Hungarian innovation projects to market. We have a number of projects in the pharmaceutical, water and agriculture, and children's education industries that your donations or investment can help with. Or, for example, you can support the ÚJ HANGYA cooperative movement. This will create a nationwide agricultural and social cooperative system similar to the successful HANGYA cooperatives that saved Hungary's economy before, but updated with new technology and research. Or perhaps you have an idea and funds for a project of your own but need a trusted organization on the ground in Hungary to help design it or manage it for you? 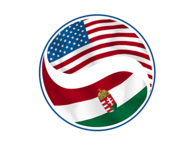 The Amerikaiak a Magyarokért Alapítvány has already proven its ability to help Hungary by the successful charitable activities mentioned on this web site. We can provide support for projects that have funding starting at $50,000. Please contact us with your support or ideas in writing at: President@AmerikaiMagyarKlub.org.